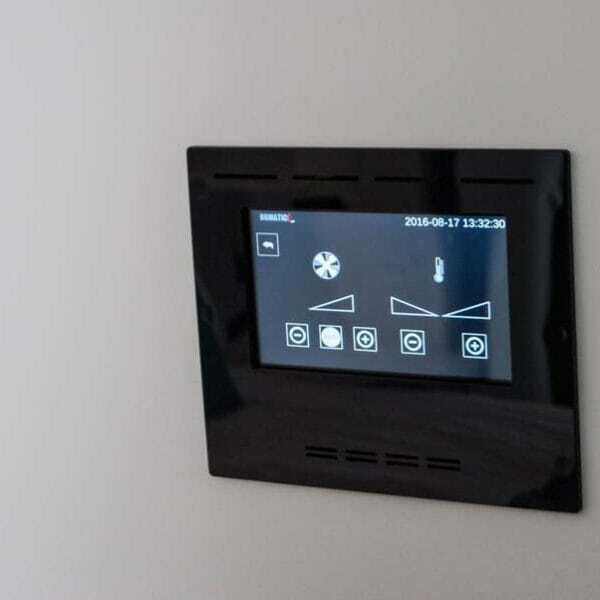 The system, after feeding it with requested parameters, will adequately adjust central heating, ventilation, humidity and air-conditioning volume. For example, it will see to it that heating volume in the parts of the building exposed to sunshine is different from the shaded parts. 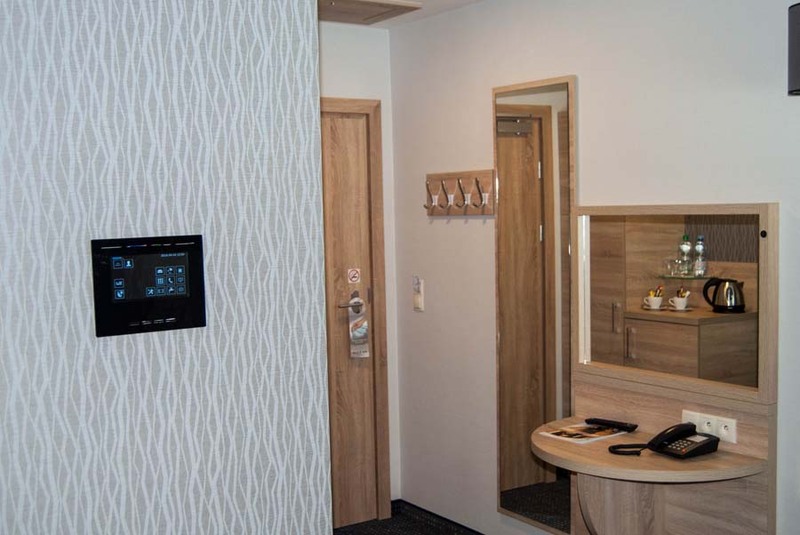 The system will automatically switch off electricity in vacant rooms, so that the equipment left idle does not increase energy consumption. It will switch off air conditioning or central heating when the window is opened. It allows the staff to enter/leave at the same time recording the working time. These are only a few examples of the HOMATIC program functionality. 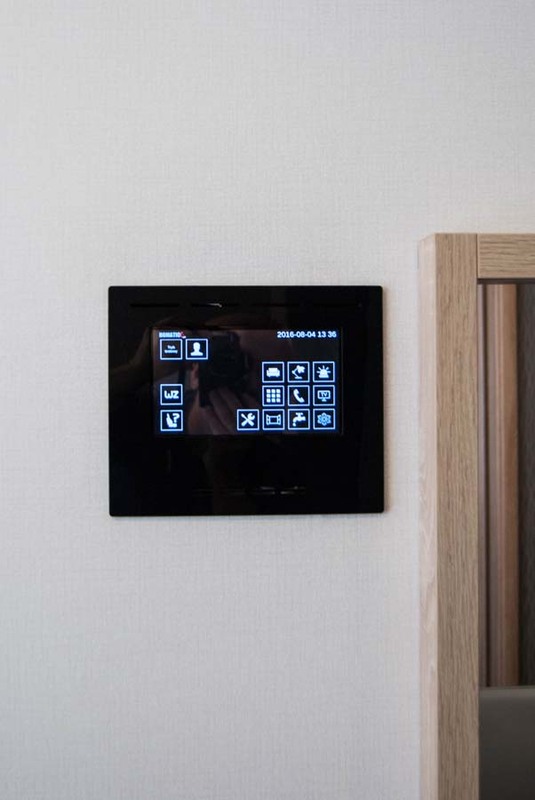 Homatic system first of all generates financial savings checking work parameters of appliances connected to it, ensures the increase of the protection level of the building through the control of access to rooms and lifts and upgrades comfort level of the users. Homatic system informs about problems and breakdowns, making the graphic interface available, where the problems and breakdowns are visualized in a clear way. Created from scratch, interface allows to monitor work parameters and change them if necessary. 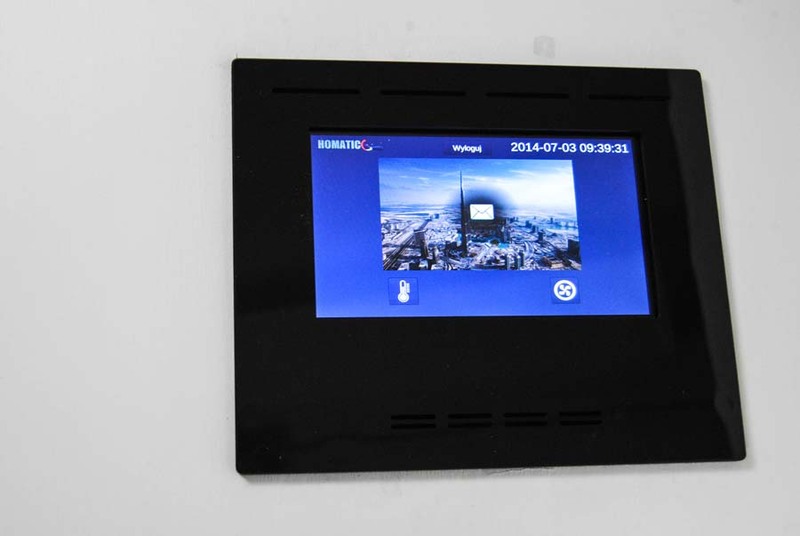 Homatic system allows comfortable and safe management of the building, including but not limited to access control. Functionality of the system ensures simplified administration of the premises where the system is installed. The system ensures full control of maintenance costs, including media supply, cost of materials used , cleaning agents, running repairs, and others. 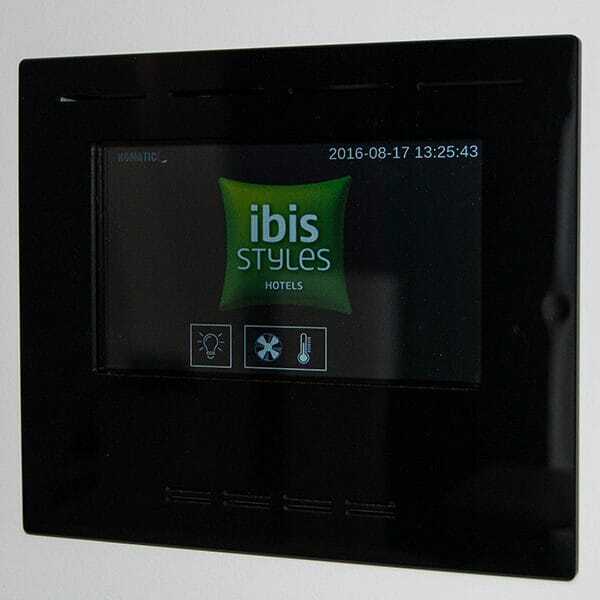 Thanks to the built-in RCP module (Working Time Recording), our hotel system may be used to record and clear working time of the hotel staff in compliance with the applicable regulations, to prepare reports, etc. The size of the building does not matter for the system. 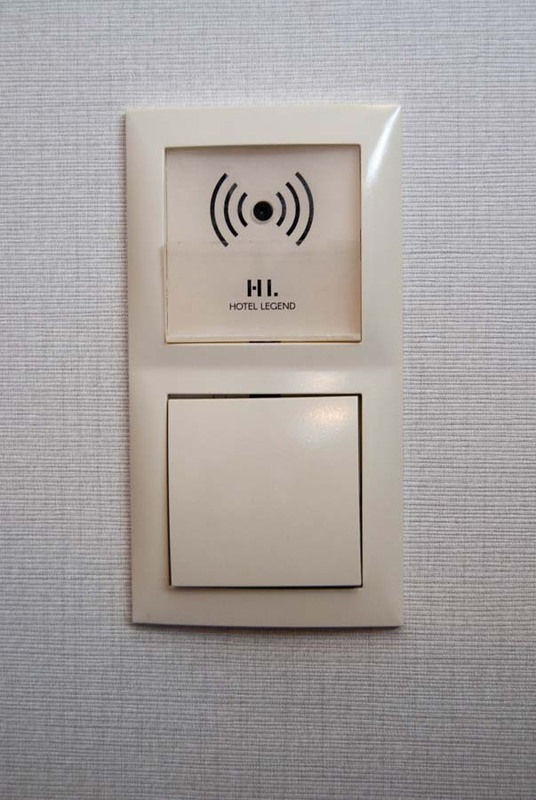 Thanks to its scalability, it can be used both in big office buildings and in small hotels. Its flexibility allows for the system to be expanded and comprise more functions. Our specialists can adjust its functions and the spheres controlled to individual needs of our clients. We provide full after sales service, software upgrades and servicing in the whole country. We ask you to contact us directly and we offer to do the presentation of the system in the place of your choice and free of charge valuation. Continuously rising maintenance costs of buildings cause that effective reduction of energy consumption becomes an absolute necessity. State of-art technology used in our system allow such management of the building where all losses are eliminated. 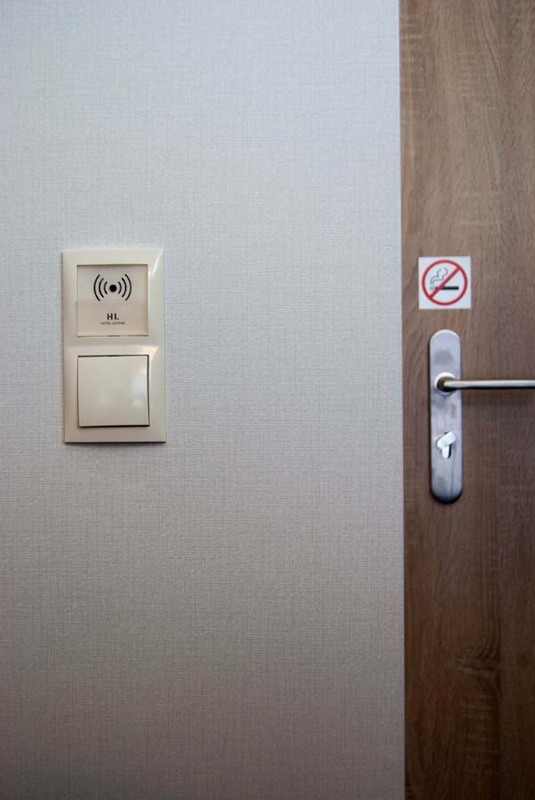 Buildings such as hotels, office buildings or public utility buildings are especially prone to increased maintenance costs arising from their public nature. 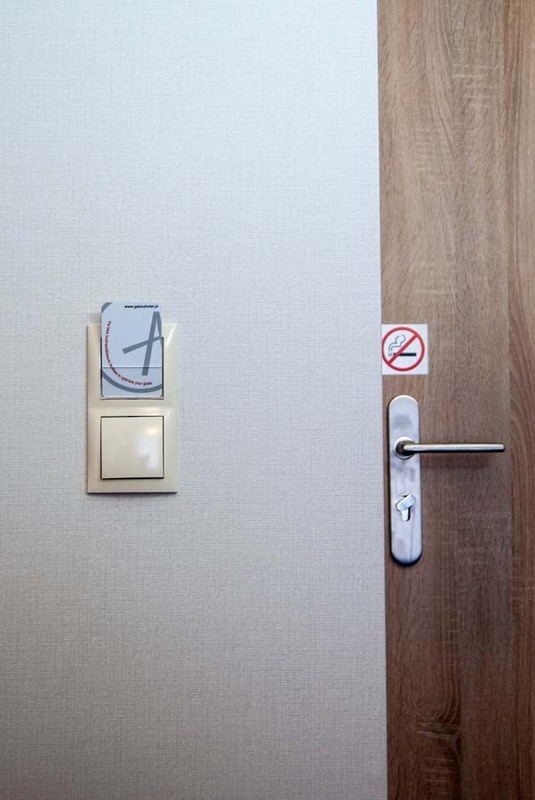 Hotel guest or office workers and officials tend to use equipment squanderly rather than savingly. How many times has it happened that a hotel client walked away leaving all electric appliances on ? Homatic system will not let such situation happen, thanks to which no electric energy, water, heat, etc. is wasted. Homatic system integrates with each other all utility systems, such as central heating, air conditioning, lighting, ventilation, IT systems, selected receivers or electric sockets or access control. 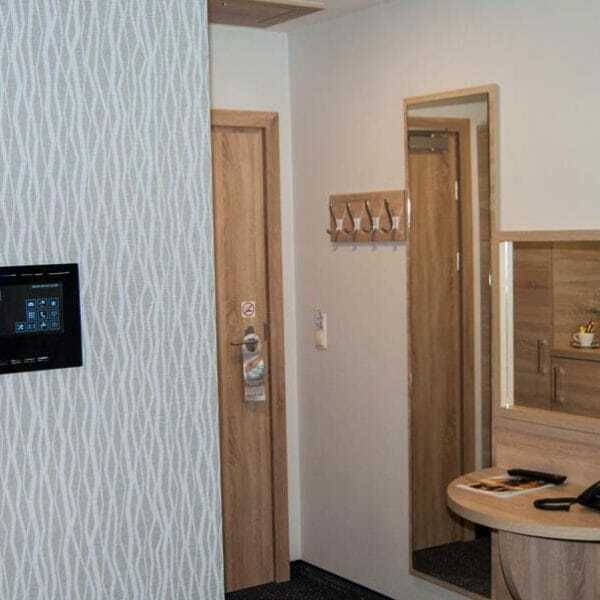 In non-commercial buildings, such as one-family houses or apartment buildings energy consumption can also be reduced thanks to the use of Homatic system. The system collects and processes the information from the whole network of detectors controlling work of the equipment and systems. Thanks to such supervisory control we can stay assured that all the systems under our control work in the most economical way. For example, if a widow is opened, air-conditioning in the given room will stop working or will be reduced to the preset volume. 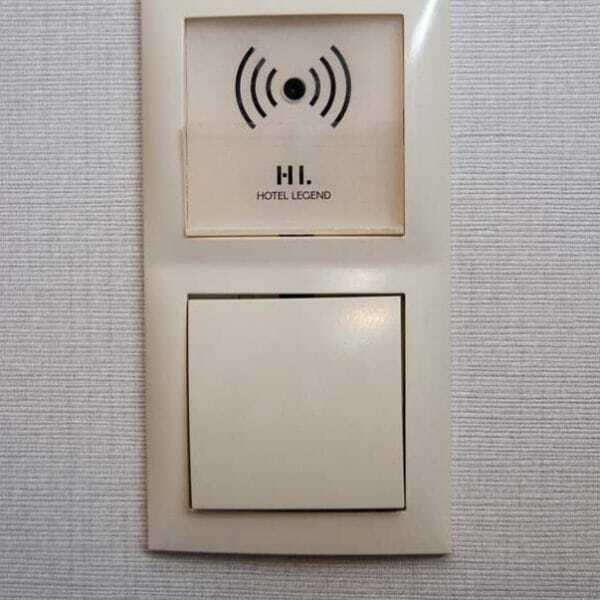 Similarly, electric socket or lighting will be switched off, if nobody is there any longer. Working time for office or public utility buildings normally is limited to certain hours, therefore Homatic System will see to it that the lighting in and out of the building, room temperature, air conditioning are accordingly adjusted to optimum level. Optionally, Energy consumption can be monitored, thanks to which its cost can be broken down for particular users and the lessees of premises can be charged for their actual consumption. Savings arising from the use of our system can even reach several dozen percent on annual basis. Thanks to it, with the maintenance costs soaring, Homatic seems to be an ideal investment for the future. Protection of the building, people and all the property inside it is one of the main responsibilities of designers and administrators of contemporary buildings. Homatic system ensures that high security level related to the functioning of the building can be maintained. 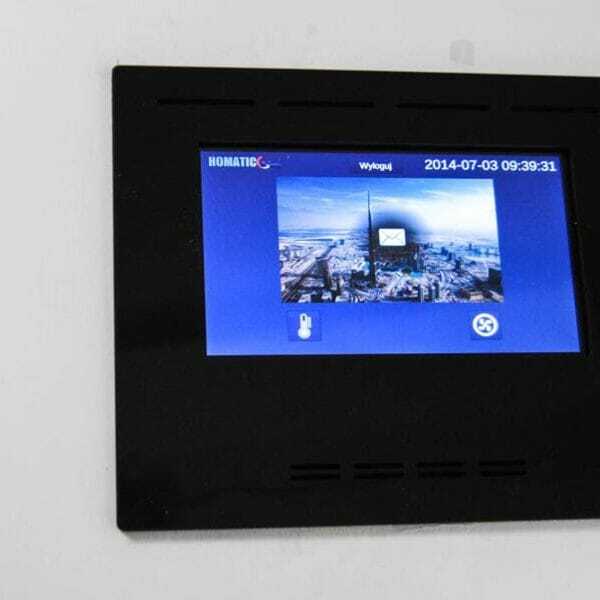 Homatic integrates in itself all installations and systems subject to its control, in particular access control. All changes in the system are recorded on a current basis. Any unwanted operations are instantly identified and at the same time all necessary procedures or alarms are activated in order to inform the system operating staff. Every client or worker of the building has got access only to the premises, rooms or floors which have been assigned to him in advance. Nobody unauthorized can access the zones which are not his place of work or stay. For example, the right to use a lift can be restricted to particular floors only. 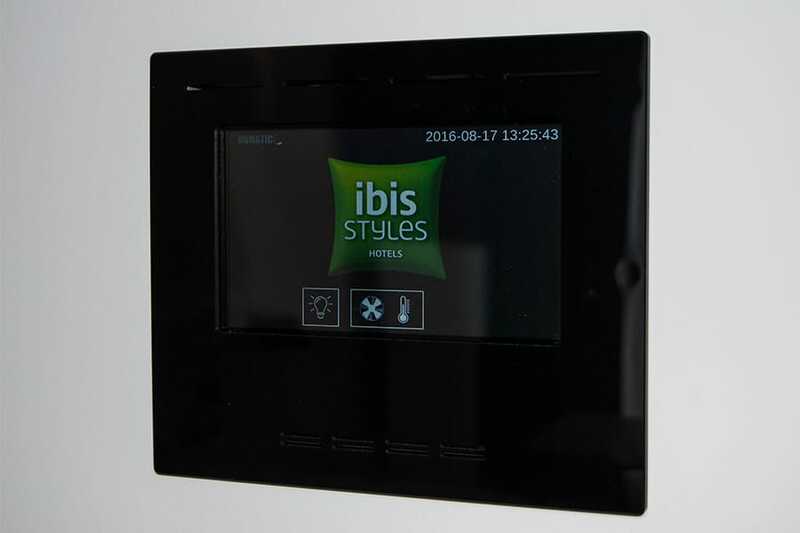 In practice, we create a possibility for a hotel guest to adjust the room settings on a touch panel to his or her individual requirements. 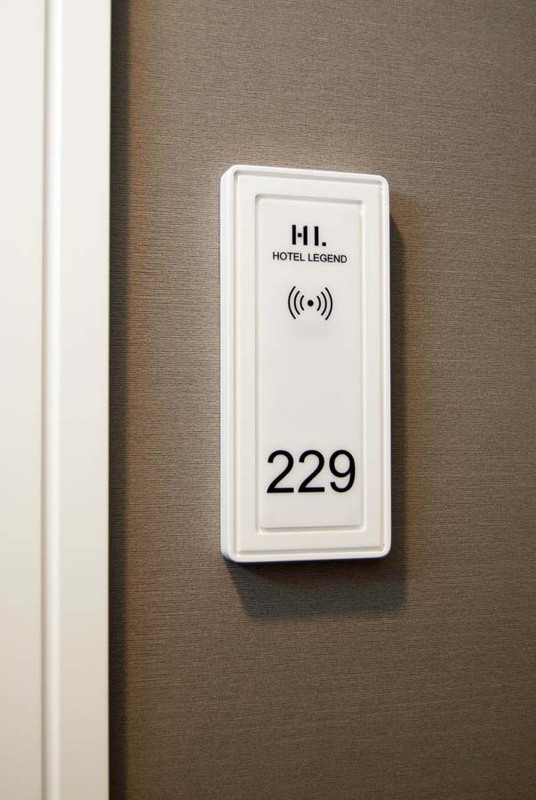 However, if a member of the hotel staff enters the guest’s room, service icons will appear on the control panel allowing to report a failure or a request for extra room cleaning. 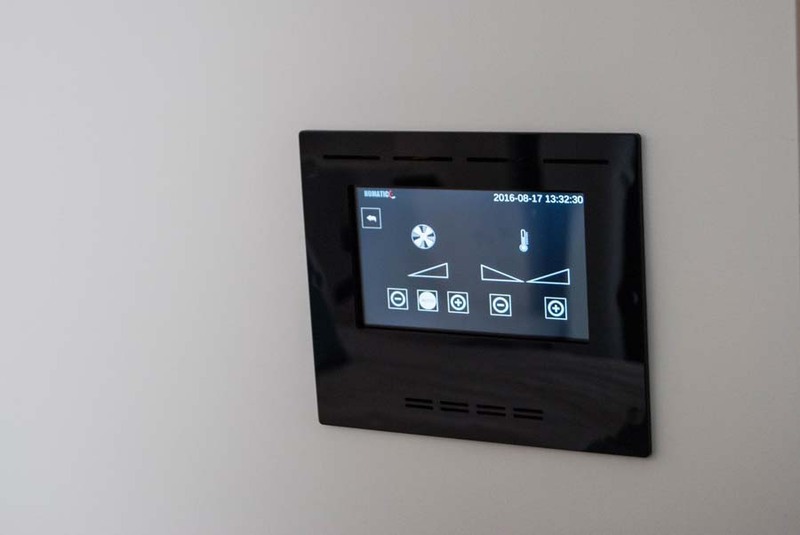 All changes in the system are recorded in real time, thanks to which the Homatic system will respond to them in the pre-programmed manner, without a necessity for the building operatives to act. All optional services for the clients are activated or cancelled on an ongoing basis, without a need to carry out unnecessary actions or to get other persons involved. Thanks to constant development of our System, we can incorporate in it more and more functions not listed here, which makes Homatic one of the most advanced products of this type on the market. Please contact our consultants, who will answer all your specific questions relating to Homatic system. They will also offer best solutions which will suit individual requirements for every single project. 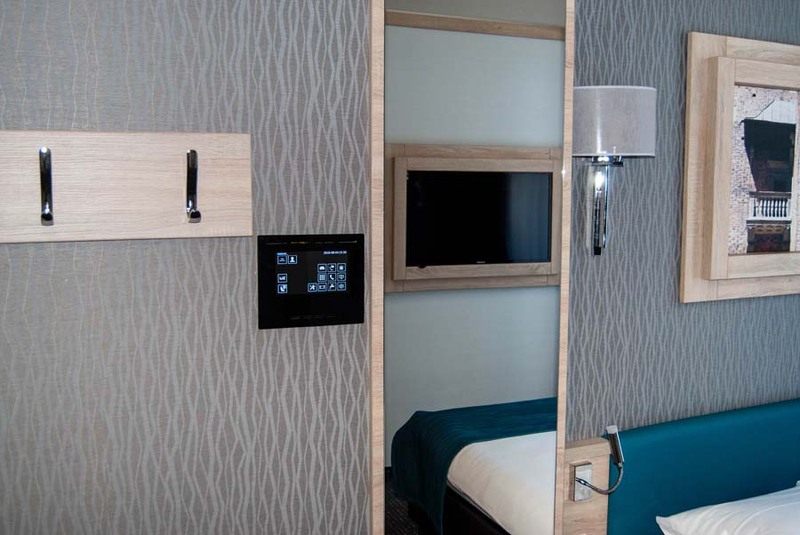 The increase of the sense of individual comfort of hotel guests or people in office buildings helps to become successful on a demanding hotel industry market or real property market. 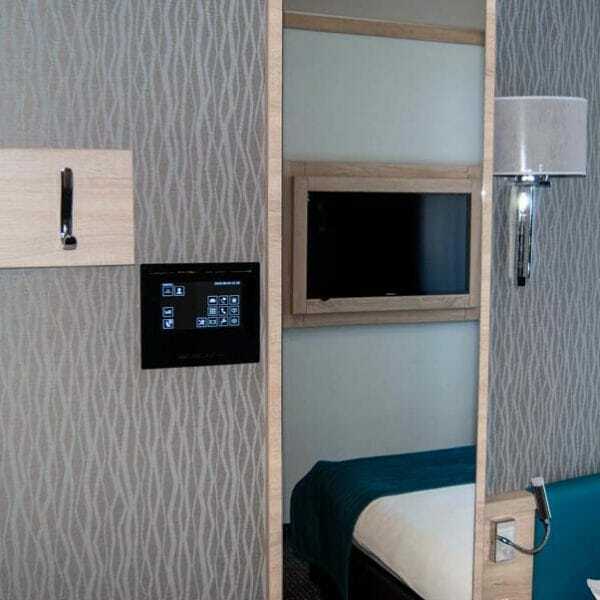 Homatic system in a special way focusses on this sphere, so that the increase in comfort aaplies not only to the building clients but also helps to increase efficiency and improve working conditions for the people employed there. Using Homatic system also in non-commercial buildings may significantly raise comfort of stay in such a building. 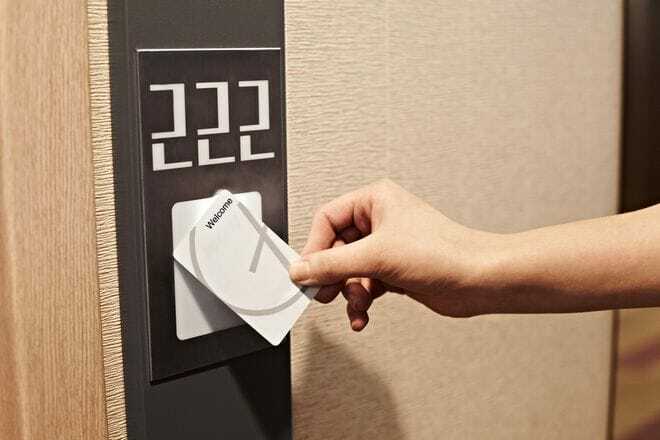 The system of individual proximity cards and touch panels to control conditions in the rooms and other premises of the building allows to give them individual touch, as every user can adjust temperature, humidity, air-conditioning to suit his or her individual needs. 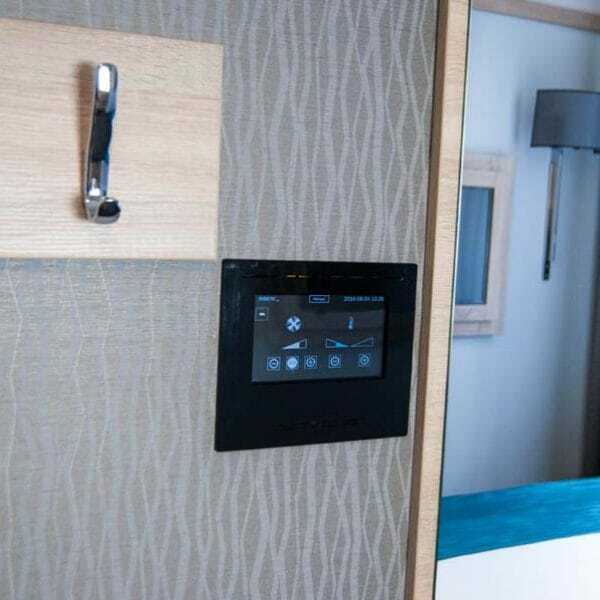 Homatic system remembers settings for particular persons or groups, thanks to which they will always find their required conditions in their place of work or leisure. On the other hand Homatic system makes work of the operating staff of a given building more efficient, responding to all changes that occur in the system. Some improvements are rather mundane in their nature, and when we use them they become part of our daily routine and, as such, they escape our notice, but our working conditions are adversely affected without them. 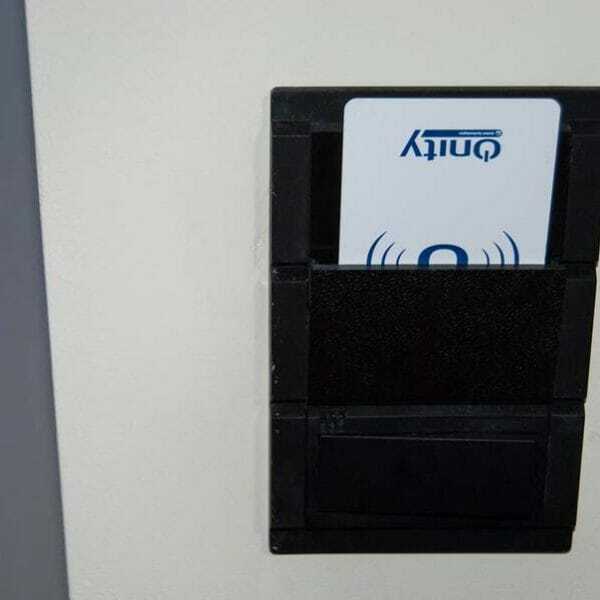 For example, the hotel key systems used so far caused that all changes to be introduced in the event of losing the card (key) by the hotel guest and the necessity to cancel it involved time-consuming decoding procedure applied to each card reader connected with a given card. 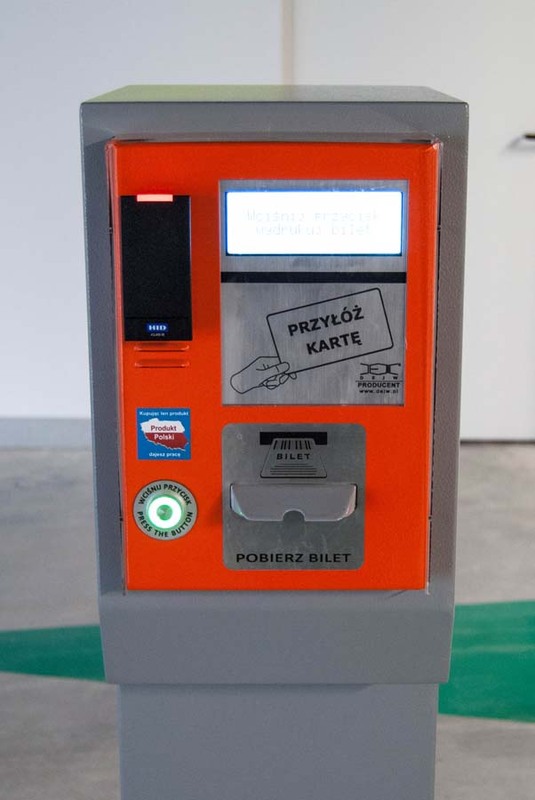 Application of the Homatic system linked to the reception office software allows to block the card and introduce all necessary changes in real time through a few clicks with a computer mouse. Naturally, the system works both ways, so granting a given person extra authorizations, e.g. 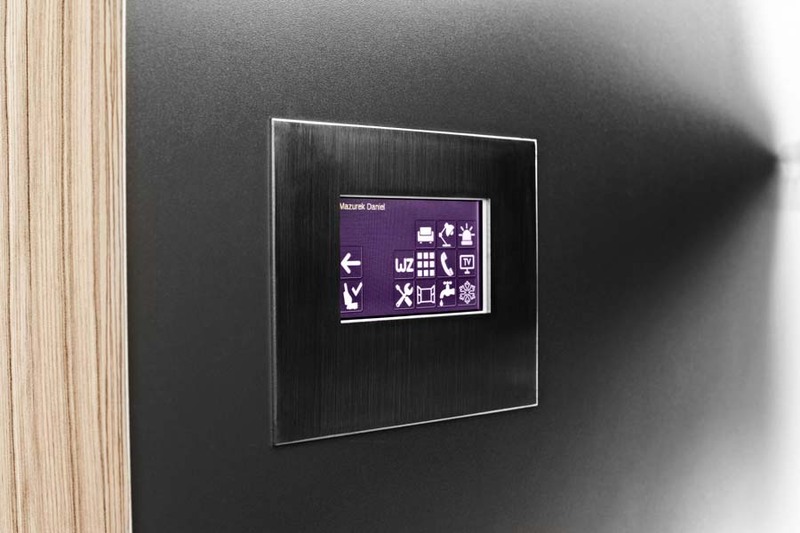 to access a mini bar, hotel swimming pool or a fitness center also is administered from the level of the reception desk. More examples can be given here, but the essence of the whole system is that through the elimination of daily inconveniences, the comfort of the work environment and of stay in the building can be raised with Homatic system. 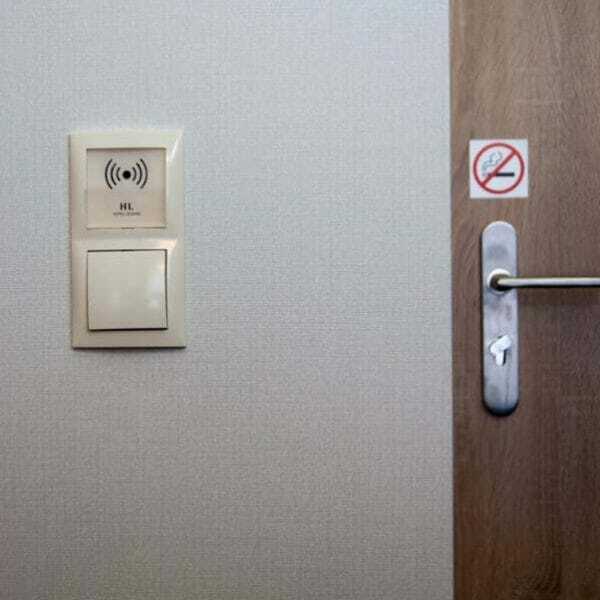 control of opening the doors to premises with the use of electromagnetic locks or electronic locks. 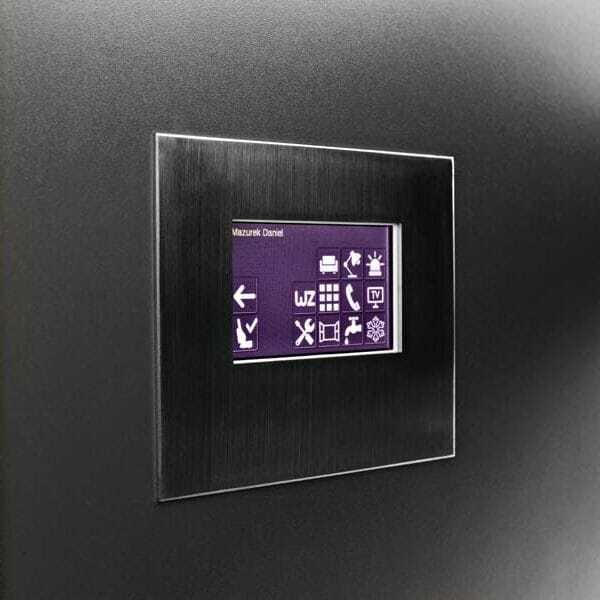 systems and equipment control through the touch control panel or computer in the reception room. displaying text or graphic information from the system management stations, e.g. reception office to LCD screens in premises. settlement of ancillary hotel services – swimming pool, fitness center, spa, meals, etc. Upon the request of the client, Homatic system can be expanded to comprise more than basic functions. For the buildings already existing we offer free-of-charge site inspection to see whether the system can be installed. A server is a central piece of equipment , where control software is installed and all the system settings are recorded. 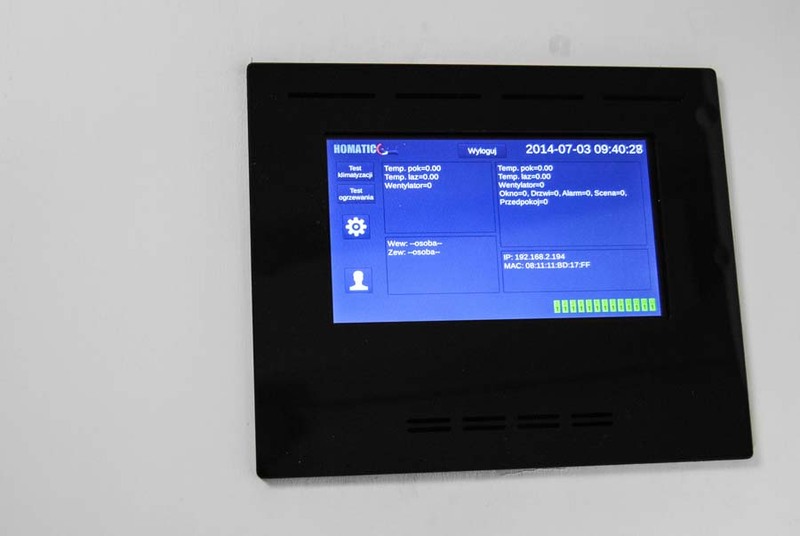 The system can be controlled and managed from access stations, e.g. from the reception office. 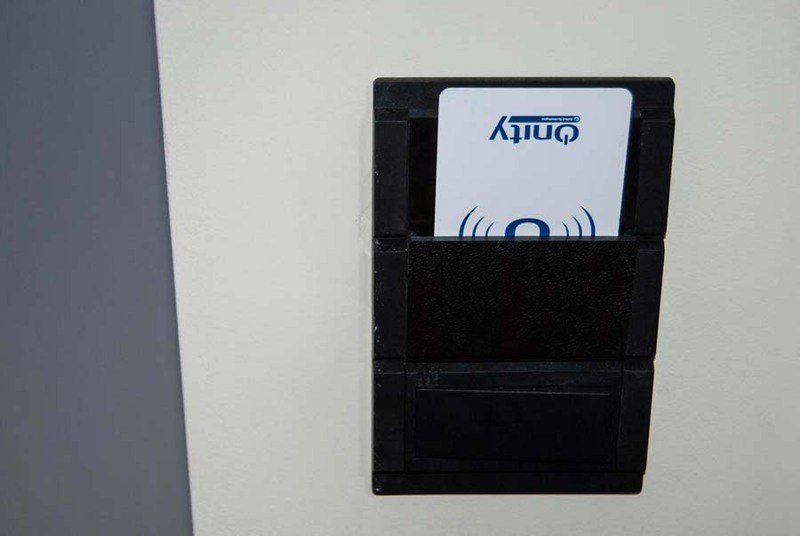 Such an access station can be equipped with a proximity cards programmer. 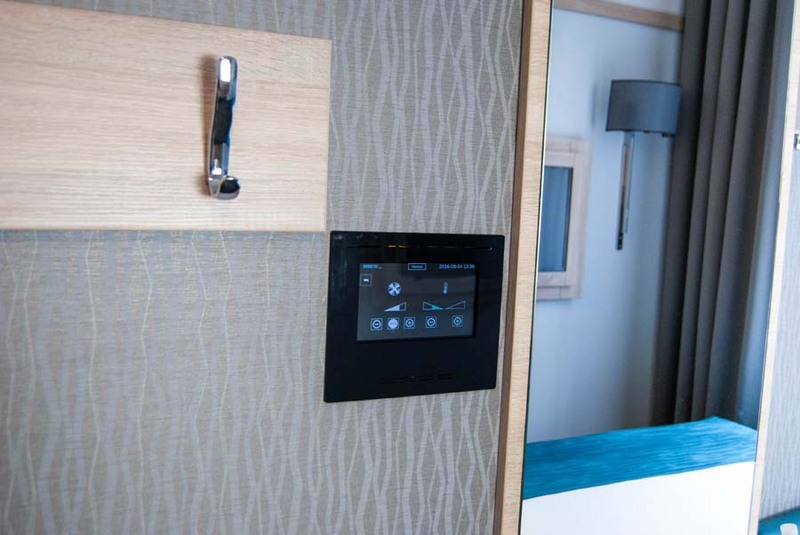 Particular rooms are equipped with touch control panels, from where conditions and settings in a given place can be controlled. Automation of operations is effected through a controller which controls equipment and systems with the help of relevant algorithms. 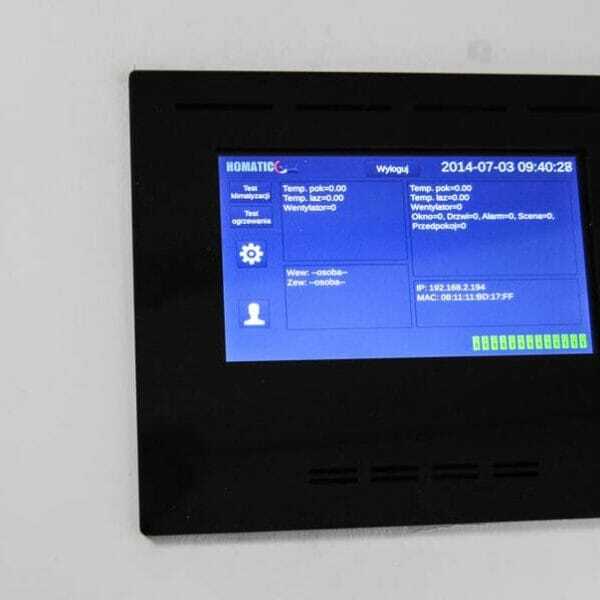 It can be connected with a lock on the door, electronic thermometers, electric sockets, reed contact switches on windows and doors , electric valves in radiators, etc.